Epilators have come a long way since their inception in the late 1980s. The first models to be invented used rotating springs to pluck hair from the roots. Current tweezer-style epilators are much better and less painful to use than their earlier counterparts were. As a result, epilating has become an increasingly popular hair removal method to the extent that many people make the choice to opt out of shaving or waxing. After all, epilation delivers longer lasting results and it can be beneficial in many ways. If you are sold on the many benefits of epilating, the next step that follows is choosing a good epilator. We’ve put together this guide on what to look for when buying an epilator, and compared the top 6 models, which should help steer you in the right direction. Read on to learn more. Epilators vs Waxing: Which Is Best? Shaver head, trimming comb, sensitive area head, facial attachment, massage cap, efficiency cap, a cooling kit and cleaning brush. Cleaning brush, bikini comb, fast cap, gentle cap, shaver head, and epilation head for legs and arms. Main epilation head (for legs/ arms), auxiliary epilation head (for underarms and bikini line), gentle cap, sonic facial brush, sonic body scrub head, foot care head, shaver head and bikini comb. Shaver head, trimmer cap, massage roller attachment, and cleaning brush. Shaver head, trimmer cap, skin contact cap, facial cap, charging stand, cleaning brush and carry pouch. The Silk-Epil 5 offers a range of features that not only reduce pain but also enhance its effectiveness and ease of use. For instance, the two-speed settings let you customize the epilator to run faster or slower. This means you can choose between gentler and faster epilation. To make hair removal more efficient, the Braun Silk-Epil 5780 features SoftLift Tips that guide flattened hair towards the tweezers. It works well with the built-in SmartLight, which illuminates the finest of hairs to help you pull out every strand for a smoother finish. There is no doubt that pulling hair from the root can be painful. Fortunately, this Braun epilator comes with massage rollers that stimulate the skin to ease discomfort. The cooling glove also helps to reduce redness and bumps after epilation. You simply need to refrigerate the provided blue gel, spread it inside one pocket of the glove, slip your hand into the other pocket, and place it on the epilated area. The product designers at Braun built the Silk Epil 5780 to operate as a corded epilator. In other words, you have to plug it into a power socket for the device to run. But, the lack of a rechargeable battery makes it lightweight compared to some other cordless units. Holding the epilator is easier as well because of the turn switch, which eliminates the need to press down a button. All you have to do is turn the dial to speed 1 or 2 and the epilator will keep running. In addition, the 2-metre long cord reduces the need to use an extension adapter and should provide ample reach. You get up to 40 tweezers for hair removal but this can vary depending on the cap attached to the epilator. The epilator head swivels up to 15 degrees as well, allowing it to adapt to the contours of your body. In addition to the cooling glove, the Silk-Epil 5 power 5780 comes in a package that includes several other accessories. You can select from five different caps, which are designed to epilate different parts of the body and deliver the best result. The shaving head cuts hair on the surface should you choose not to epilate for whatever reason. You can attach the trimming cap on top of it to simply cut hair to a shorter length. This would come in handy for men who prefer a short stubble if epilating on the face is too painful. However, there is a narrow facial cap in the package, which reduces the number of tweezers to make it less painful and practical to use on the jawline, chin and upper lip. For hair removal on the armpits and bikini line, you can use the sensitive area cap. The included efficiency cap helps to ensure maximum skin contact for the most efficient results. It can be easy to misplace different attachments when you have an epilator like this one with so many interchangeable parts. However, Braun offers the Silk-Epil 5780 with a drawstring pouch, allowing you to keep all the pieces together. Despite not supporting wet use, the Braun Silk-Epil 5780 has fully washable heads. Just make sure that it is completely dry before attaching any cap the next time you intend to use it. The included cleaning brush also makes it easy to remove loose hair. If you are looking for an epilator that can groom every spot you have ever wanted, then the Braun Silk-Epil 5 power 5780 is for you. Its best selling point is the numerous interchangeable heads. And, unlike cordless epilators that may run out of battery before you finish epilating the whole body, this little gadget runs non-stop. Overall, it is a nice versatile hair removal kit that offers excellent value for money. When shopping for epilators, it is wise to go for a reputable brand. Panasonic, for instance, is one of the leading manufacturers of a wide range of quality electronic products. Their epilators do not disappoint and there are plenty of options from which to choose. 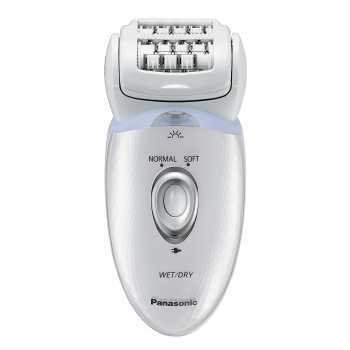 Among the many choices that exist, the Panasonic ES-ED53 epilator wet/dry model offers a good selection of features at an affordable price. Our detailed guide below can help you determine whether it is what you are looking for in a hair removal tool. One of the nice features of this epilator is that you can use it on wet skin. This is a boon for people who find dry epilation painful. If you want to reduce pain further, then make sure to epilate on the ‘soft’ setting. This gentler mode is perfect for delicate areas, beginners, or people with sensitive skin. In addition to a second ‘normal’ speed setting, there is also an LED function as well. It comes in handy when epilating under low light conditions or for spotting any fine hairs that can be easy to miss. Holding the Panasonic ES-ED53 will feel very comfortable thanks to its curved edges and single centre button that you don’t have to hold down to keep the appliance working. The head also pivots to an angle of 60 degrees, making it easy to manoeuvre around curves like the underarms, knees, and ankles. It also has 48 tweezers for fast hair removal. Featuring a cordless design, Panasonic’s ES-ED53 epilator lets you enjoy the freedom of moving around anywhere while using it. On a full charge, it can offer up to 30-minutes of cordless use. It takes about an hour to charge and the epilator does not run when charging as a defense mechanism to prevent nasty shocks! Along with the epilator, you will get several other accessories upon buying this Panasonic appliance. Included in the package are four attachment caps. The main epilator head for legs/arms works with a plastic guard cap that prevents skin pinching. You may use this attachment with the gentle cap that exposes few tweezers for a less painful process or with the fast cap to remove more hair without restricting the epilator discs. 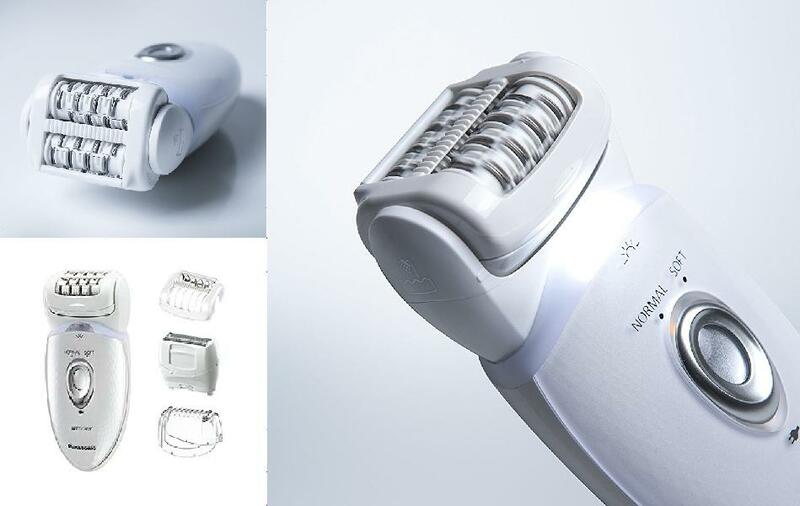 The shaver head is the fourth attachment, which turns your epilator into an electric razor. It offers a closer shave but you may opt to trim hair instead by adding the bikini comb on top of the shaving attachment. The trimmer comb also acts as a protection cap for the shaver head. Other accessories include a cleaning brush and charging cord. The epilator comes nicely packed in a drawstring pouch as well, which you can use to store your epilator when traveling and will help keep all the attachments nicely together. The cleaning brush included in the package helps to get rid of hair build-up in the attachment heads. It works well as a cleaning tool after dry epilation. However, you can also clean the Panasonic ES-ED53 under running water since it cordless device. While not the most feature packed unit on the market, the Panasonic ES-ED53 epilator offers a good balance between price and function. If you are new to epilating, its wet/dry function will facilitate a less painful experience. The trimmer head serves as a fallback option as well if you decided that epilating is not for you. 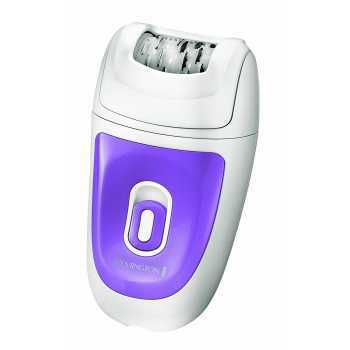 Overall, this epilator offers good value for the price and it is a fantastic pick for removing unwanted hair from the legs, arms, underarms or bikini line. This is yet another release from Panasonic that supports gentle epilation. It’s a wet & dry epilator, which means you can apply some shower gel, foam or lather on the head to lessen pain while pulling hairs from the root. Much like the Panasonic ES-ED53 epilator in our earlier buying guide, this model also offers dual speed operation and a built-in light to make sure you won’t miss a single hair. The ES-ED96 main body and base are shaped like an egg, making it easy to fit into your palm. With its Pearl finish, this epilator is aesthetically pleasing. However, its design is also functional in many ways. A total of 48 tweezers mounted on the dual disc main head help to pluck out dozens of strands with each pass. The 60-degree tilting head glides across the skin with little resistance even when epilating around curves. As a cordless unit, this epilator is quite convenient to use. You are not confined to using it only when set-up within close proximity to a plug socket. It takes about an hour to recharge and the device can run for about 30-minutes on battery. As a safety mechanism, the epilator does not run while plugged into mains power. 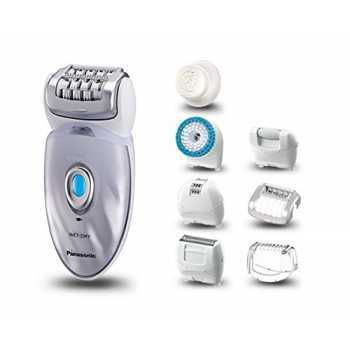 What sets the Panasonic ES-ED96 apart is the fact that it is much more than a simple epilator. This 8-in-1 kit punches well above its weight when it comes to versatility. Whether it is shaving, exfoliation or foot care, it has you covered. The main epilating head is perfect for people who want to remove hair from large areas like the legs and arms. There is also a smaller epilation attachment for working on sensitive areas like the bikini line and underarms. The smaller attachment delivers almost painless epilation on the soft setting. With the gentle cap, fewer tweezers pluck out hair, which makes it ideal for people who are new to epilating. Supplied with the ES-ED96 is also a shaving head. This attachment is great for quick touch ups or removing hair from spots which are too sensitive for epilation. It delivers a closer shave when used alone but you can simply trim longer hair by clipping on the bikini comb while using the shaving head. The ES-ED96 wet/dry also lets you enjoy head to toe grooming thanks to the facial and foot care attachments. The foot care head features a coarse wheel that rotates to grind and shed hard skin on the heels or remove calluses from the toes. If you want to exfoliate the face, simply attach the sonic facial brush. With 37,000 fine bristles and 3,000 oscillations, the facial brush delivers gentle yet strong enough sonic vibrations to remove traces of make-up and dead skin cells. The cleansing action from the facial brush leaves your face feeling smooth and soft. You can extend these benefits beyond the face thanks to the body scrub sonic brush head included in the kit. The package comes with a carry bag to keep all your epilator accessories in one place as well as the charging adapter and operator’s manual. Cleaning up after using the ES-ED96 is easy since it is fully washable. While you can simply wash the attachment heads under running water, it is advisable to disinfect the tweezer head, frame, and caps with a little rubbing alcohol. The Panasonic ES-ED96 comes with a number of improvements over previous models. 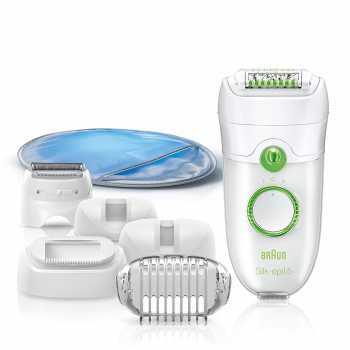 With eight attachments that facilitate everything from epilation, to facial cleansing and foot care, this unit is an excellent choice if you are looking for lots of extra features in an epilator. Overall, it is a good investment that will help you to avoid and save on beauty salons and eliminate the hustle of owning multiple appliances. Are you looking for a simple epilator without a ton of bells and whistles you probably won’t need? If you are this one from Remington might be an ideal choice. 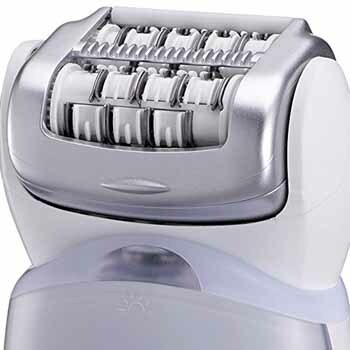 The Remington EP7010 corded epilator may not have a myriad of extras, but it is effective and comes at a very affordable price. Our complete buyers guide here will help you learn everything about it, from features and design to attachments and ease of use. Keep reading to learn more. As with most epilators, the EP7010 offers two-speed settings. Remington recommends the low speed for fine hair and high mode if you have coarse or thick growth. There are up to 40 tweezers on the rotating head attachment. This means you will be able to pluck out a good amount of hair without having to go through the same area multiple times. Just as the name implies, you have to plug in the Remington EP7010 corded epilator during use. Although you won’t be able to move around as much as you would with a cordless epilator, there is no need to wait for the device to charge. This Remington appliance is also much lighter since it does not include a rechargeable battery that makes cordless units heavier. Its lightweight design combined with the ergonomic shape makes the Remington EP7010 easier to hold for prolonged periods. Unlike pricier models, the Remington EP7010 corded epilator comes with only one extra attachment. It’s called the ideal angle cap, which makes sure the epilator grabs hairs well without breaking them off on the skin’s surface. The attachment achieves this by making sure you are holding the epilator at an optimum angle. When it comes to cleaning your Remington EP7010, the process couldn’t be any easier. Pushing a release button at the back of the appliance detaches the entire head attachment to allow for easy cleaning. You can easily brush off loose hair from the base using the provided cleaning accessory. Since the attachment head is fully washable, rinsing it under running tap water might do the trick when the cleaning brush can’t dislodge a few stubborn hairs. It is also advisable to wipe the tweezers with a swab of cotton dipped in rubbing alcohol to kill any bacteria. 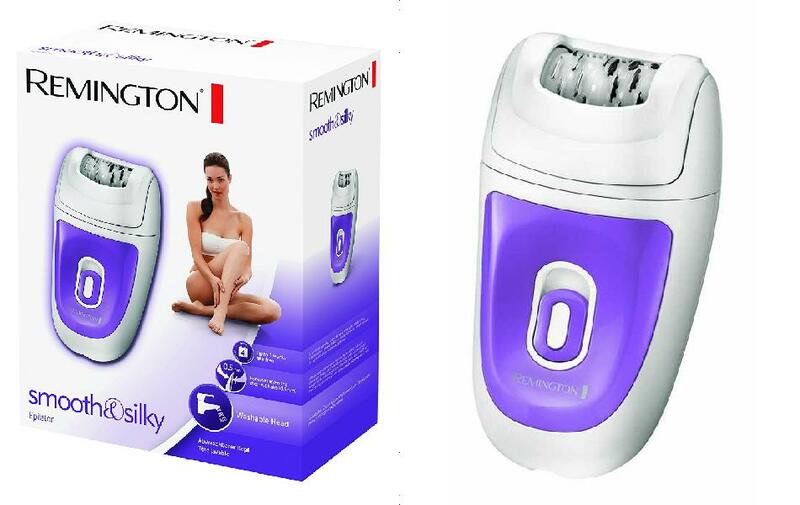 The Remington EP7010 is the perfect choice if you are on a budget but want an epilator that offers the essential functions. Despite its low price point, this epilator gets the job done. The best part is that you can use it on your legs, arms, bikini line and underarms without having to recharge it in between the epilating session. If you want a similar full-body epilator that can be used on the face and offers cordless functionality, the Remington EP7030 might be worth considering. It costs a little more but offers additional features such as a facial head, massaging cap, precision light, and precision attachment. When it comes to a basic and affordable epilator, the Braun Silk-Epil 3 3270 is one of the best options available. It works like a charm and even guides you through the entire epilation process. While epilation hurts, the Silk-Epil 3 has a couple of features that make it a bit more bearable. In this guide, we explore what this epilator has to offer so that you can make an informed buying decision. Although the Silk-Epil 3 is a basic epilator, it performs exceptionally well. This is possible thanks to its SoftLift Tips, which lift flat lying hair, and directs it towards the epilator’s tweezers, thereby ensuring maximum hair removal. And, if you want even more smooth skin, the epilator offers 2 speed settings where Speed II is designed to deliver more efficient epilation that leaves skin silky smooth. Speed I, on the other hand, delivers a gentler process that is ideal for people who are not yet used to the discomfort epilation can bring. The best selling point for this epilator; however, is arguably the built-in light, which automatically comes on whenever you power up the device. Not many basic models can brag of offering this feature. The light is strategically located on top of the speed buttons where it clearly illuminates the area being epilated. This means you will be able to spot, and get rid of, even the tiniest or finest of hairs hiding in the creases of crevices of your skin. Two other features that you are sure to love with this epilator is that it has an efficiency cap and integrated massage rollers. The rollers use micro pulsations to stimulate the skin softly before the unforgiving tweezers uproot hair, and then they gently massage the skin after. As a result, epilation ends up being less painful than usual. There is not a lot to the design of the Silk 3 3270. It is simply a tiny, but fairly wide, epilator with 2 main speed buttons at the center of the device and two other tiny buttons on either side. However, it is this simple design that makes the epilator a joy to work with becuase you can literally pick the device up, switch it on, and get started – without figuring out complex settings. Weighing a mere 259g, the Silk Epil 3 will feel light and comfortable in the hand. To top it off, the power plug (which connects to the bottom of the device) measures a generous 7-feet. With this length, you have complete freedom of movement as you reach out to epilate your legs or underarms. As for use, pressing one of the main buttons activates the device, while pressing the tiny release buttons on the side at the same time detaches whatever cap is in place, allowing you to slide in another attachment. Aside from the massaging roller cap, the Silk-Epil 3 also comes with shaver head and a trimmer cap. You also get a tiny cleaning brush with your purchase. Being an electrical device, the Silk-Epil 3 cannot be tossed into water for cleaning. However, it does feature removable parts that can be washed under running water and comes with a cleaning brush for keeping the epilator hair-free. Cleaning the epilator simply requires you to unplug the device, remove the available cap, take out the tweezer head and then brush out any stuck hairs or dirt. You can also dip the brush in a bit of alcohol to sterilize the tweezers. Just make sure that the device is completely dry before you plug it back in. The Braun Silk-Epil 3 3270 may not have all the bells and whistles (cordless usage, cooling glove, etc) that pricier epilators are known to offer, but it gets the job done at a very pocket friendly price. 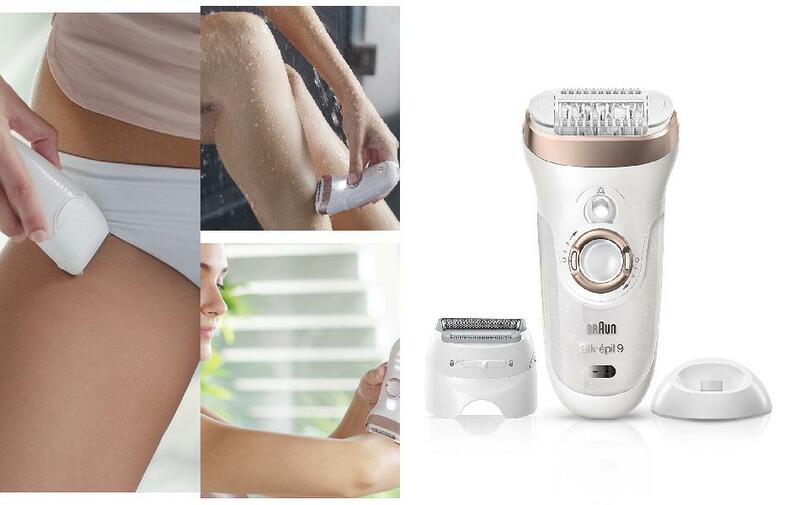 With its simple, easy-to-hold design and smart light feature, this epilator allows you to enjoy a stress-free and less painful hair removal experience. Overall, it is a decent buy for someone who is just looking to get rid of hair and is not interested in any extra attachments or functions. Braun’s top range line of epilators, the Silk Epil 9 series, come packed with a wide variety of extra features. In fact, you will be spoilt for choice when sifting through the various attachments on each epilator in this line. However, the following buying guide will focus on one of the cheapest options in the range, the Braun Silk Epil 9-561 epilator. Despite having a lower price point than other Silk Epil 9s, this model has a few nice features that make it stand out. Read on to get the full details on what to expect should you choose to the Epil 9-561. Just like most Braun epilators, the Silk Epil 9-561 offers a speed personalization feature that lets you choose between gentle or more efficient epilation. You can select the preferred speed with the simple turn of spin wheel found on the device’s front side. Upon selecting your preferred speed, the SmartLight turns on in a bright white colour to ensure you won’t miss a single strand of hair. The built-in light doubles up as battery indicator as well. It flashes red when the epilator battery is running out of power. A green light blinks as the epilator recharges and it stops flashing when the battery is fully charged. Braun sells this epilator model with a convenient charging stand that makes charging convenient because you can just pop the Epil 9 straight down for charging and grab it directly from the stand the next time you need it. Recharging the battery can take up to an hour and you get about 40 minutes of cordless use. The charging cable has a two-pronged plug. Therefore, you’ll need a shaver socket or two-pin adapter to plug in the device’s charging cable. Initially, the Silk Epil 9-561 came in a white and purple colour scheme but you can also find it in white/brown finish at the time of writing. This epilator fits in the hand easily thanks to its curved shape. It is cordless and has a pivoting head that follows the contours of your skin, which makes it very easy to manoeuvre the device as you please. You can use this epilator in the bath or shower since it features a waterproof body. There are 40 tweezers on the main head, which allows for faster hair removal with each stroke. The tweezers feature Braun’s Microgrip technology that makes it possible to pluck out hairs as small as a grain of sand. The Silk Epil 9-561 is a 6-in-1 epilator, meaning you’ll get half a dozen attachment heads in the package. The first attachment is the main epilation head with 40 tweezers. The massaging cap goes right on top of it. This attachment has rollers that pulsate on either side of the tweezers. It helps to soothe the skin as your pull hairs from the root. Replacing that attachment with the skin contact cap brings the tweezers closer to the surface for a much more efficient hair removal process. There is also a facial cap that goes onto the epilator head and covers most of the tweezers for a less painful experience. Epilating long hair can increase pain sensations and chances of strands breaking on the surface. However, the trimming head included in the package comes in handy when you want to shorten long hair before epilation. 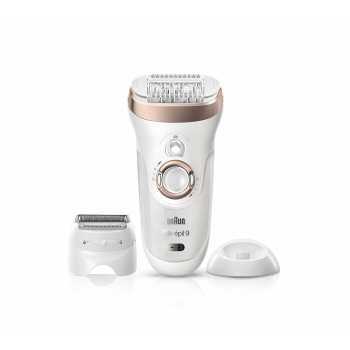 Alternatively, you can simply opt to use the shaver head that turns your Braun Silk-Epil 9-561 into an electric razor. Other items included in the box are a cleaning brush, charging dock, power cable, and a drawstring pouch to keep all your accessories and epilator in one place. Keeping your epilator clean will be easy because all the attachments on the Braun Silk Epil 9-561 detach from the device. This allows you to easily remove any loose hair using the provided cleaning brush. As with most wet/dry epilators, this model also supports cleaning of attachment heads under running tap water. Disinfecting the tweezers and caps with rubbing alcohol every once in a while is also recommended. What the Braun 9-561 epilator lacks that can be found on other Silk-Epil 9s are the exfoliating brushes and massage pad. That notwithstanding, it is still a fairly decent epilator which provides very good value for it’s price. Whether you are looking for one of the best newbie-friendly epilators on the market or want to upgrade from an old one to catch up with what new technology has to offer, this particular model is ideal for both beginners and experienced users. Number of Tweezers: Modern epilators now come with a rotating disk with small tweezers (or gaps) that catch and tug out hair as the appliance’s head rotates across the skin. Depending on the model, the rotating head can have 20 or more tweezers. Epilating can take a long time if you only have a few tweezers to use. A higher amount of tweezers covers larger areas and pulls out more hair with each stroke. Pricier epilators tend to feature a larger number of tweezers and they get the job done much faster compared to cheaper options. However, they can feel a bit more painful, especially for those who are new to epilators because more hair is removed at a time. On the plus side, the pain will be brief since more tweezers shorten the epilating time. Head Design: Some epilators have unique head designs that either serve a specific purpose or provide an added advantage. For example, if you are looking to remove hair from a large area of your body, an epilator with a wide head will be most suitable. Units that have pivoting heads make it easy to follow the curves and contours of your body while epilating. There are also sleek epilators with narrow heads. These are ideal for the jawline, moustache area, upper lip and other tight spots that would be awkward to work on with a larger epilating head. 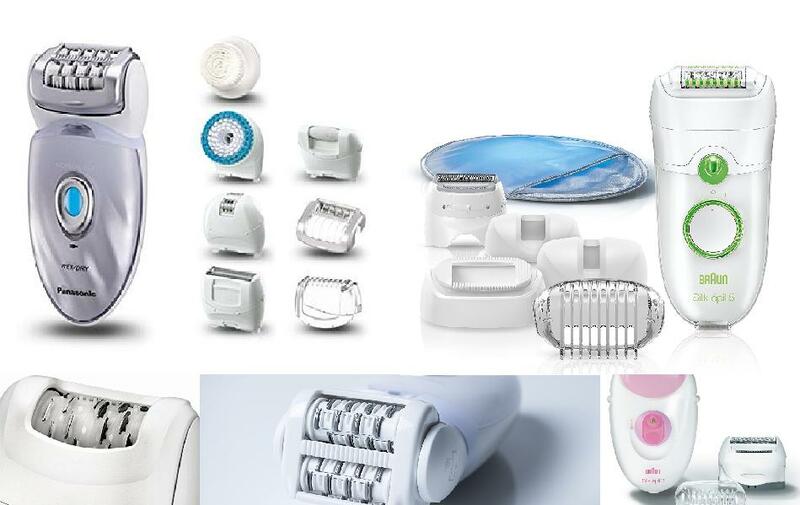 Keep in mind though that you can opt for an epilator designed with interchangeable heads, which brings us to the next feature to look for in an epilator. Attachments: While there are special purpose epilators, most models have cap attachments that you switch out to epilate different parts of the body. A sensitivity cap, for instance, is a common attachment designed for use on underarms, face, and bikini-line. This small-cap uses fewer tweezers to make the process less painful for sensitive areas. Other epilators may feature a shaving head, facial cap, pedicure buffer, massage accessory that soothes the skin to reduce pain, or efficiency attachment that plucks hair at precise angles for optimum results. If versatility is high on your list of priorities when shopping for an epilator, choosing a unit with interchangeable heads is a must. Cordless or Wired: Another decision you have to make is whether to go for a cordless or wired epilator. Wireless epilators typically run on rechargeable batteries. You will be able to take these kinds of epilators anywhere and many of them are designed to be lightweight and portable for easy traveling. One important factor to look at, should you decide to go for a cordless epilator, is the battery life. Whatever model you choose, make sure to find out how many minutes of cordless use it offers before needing a recharge. When it comes to wired epilators, you never have to worry about keeping the battery charged or the possibility of the batteries running out before completing an epilation session. In addition, epilators that run directly from a plu socket tend to be more powerful than those that run on batteries. One caveat you may have to grapple with is that sometimes the cord can get tangled up or get in your way especially if it is short. Wet / Dry Functionality: Although epilators were designed to use on dry skin, you can now find improved models that offer the ability to work on wet skin. The wet/dry feature is often found on cordless epilators. The reason for this is that wired units would be dangerous to use on wet skin while connected to mains power. 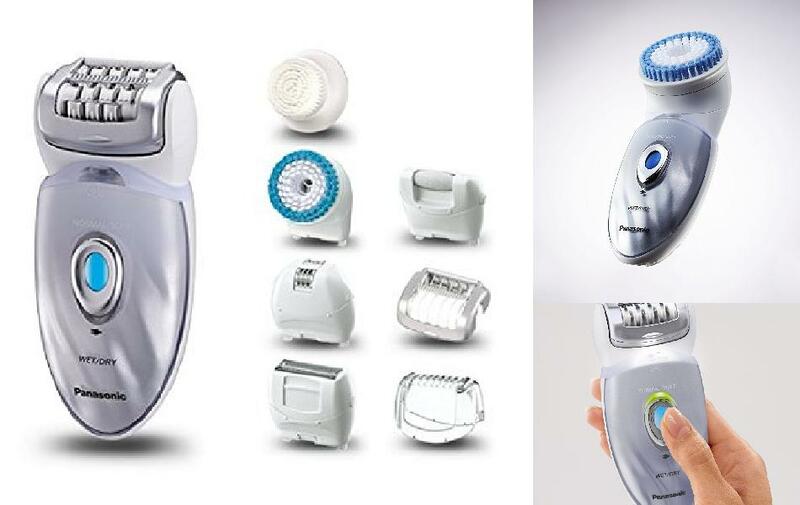 Therefore, if the wet/dry functionality is important to have in an epilator, you should opt for a cordless unit. The advantage of epilating in the shower is that it might feel less painful, which makes the wet/dry function great for people who are new to this hair removal method. On the downside, epilating when wet will take longer than trying to pluck out dry hair. Much of this has to do with the fact that wet hair tends to stick on the skin, so it takes several more passes to epilate one area properly. Speed Options: Having more than one-speed setting in an epilator can be quite useful. When epilating sensitive areas, you’ll have the option to choose the low-speed setting for a slower and gentler process. High-speed settings, on the other hand, offer faster epilation for those times you are in a hurry before heading out the door. Illuminating Light: Some epilators shine a light on the skin, allowing you to see fine hairs and avoid going over the same place multiple times. Free Accessories: Other epilator brands offer their products with free accessories as an added bonus. This might include free items like a carry pouch, exfoliating brush, mirror or cooling pack for alleviating pain. Design & Shape: From sleek to chunky, epilators come in all manner of shapes and sizes. Form factor might seem like a purely aesthetic issue, but bear in mind what you intend to use an epilator for in order to select a suitable shape and design. For instance, if you want to epilate hard-to-reach hairy spots on the back, then an epilator with a long handle would be ideal. Some people find a sleek or slender epilator easier to use on the bikini-line compared to one with a chunkier design. If you simply want one that is easy to handle, then look out for those that have lightweight, ergonomic bodies and/or soft touch grips. Other than features, your budget is the other important aspect to consider if you are in the market for an epilator. An entry-level model can cost under £40 but prices can go up to over £200 for high-end options. The more you spend on an epilator, the more features you get. But, that does not necessarily mean that you will get better performance with every high-priced epilator. For people who are new to epilating, the last thing you want is to buy a device that will just end up in your cupboard or drawer. It makes sense to go for mid-range or entry-level models that offer pain alleviating features when new to epilating. Such units are gentler and have few tweezers. This will allow you to see if epilating is for you before upgrading to a more expensive device. Remember, a good epilator is one that serves your needs. So, consider whether the functions offered in any model will be ideal for your specific requirements to avoid paying for features you won’t use. Now that you know what to look for when buying an epilator – our top tips are outlined above – you are one step closer to finding the best deal. There are many epilators online but it is prudent to select a reputable brand. Keep in mind the tips shared in our buyers guide above while comparing different brands and models. While there are many ways to get rid of unwanted hair, waxing and epilating are two methods that offer superior results. Unlike shaving or applying depilatory creams, these methods remove hair from the root. As a result, re-growth slows down, leaving you with smooth, hair-free skin for longer. But, between the two methods, which one is better? Well, waxing and epilating deliver more or less the same result, with most people experiencing hairlessness that lasts for about 2 to 6 weeks. However, there are many other factors to weigh-in when trying to see which of these hair removal methods is better. To that effect, we have compiled this guide on everything you need to know about epilators vs waxing. What does Waxing & Epilating have in Common? Pulling hair from the root will obviously hurt. You can expect to feel some pinching sensations when epilating whereas waxing tends to sting. But, how painful can it get? Well, the truth is each individual has a different pain threshold. People with sensitive skin or coarse hair will more likely experience more pain. The good news is there are ways to reduce the pain of epilating and waxing. What’s more, the pain becomes bearable if you wax or epilate regularly. This is due to your body getting used to the discomfort. In addition, pulled hair roots become weaker, thereby resulting in finer hair re-growth that pulls out more easily during subsequent epilating or waxing sessions. It is common to develop bumps and experience redness on the skin after epilating and waxing. Red bumps on the skin tend to subside in a few hours after epilating. Waxing removes the top layer of dead cells, and this can leave the skin vulnerable to infection. Luckily, applying tea tree oil, Aloe Vera or any natural soothing lotion with antiseptic qualities immediately after you epilate or wax helps to minimize irritation and possibility of infections. Epilating and waxing may deliver the same result, but the process is different for each method. When epilating, you will use a device that resembles an electric shaver. A typical epilator has a motorized head consisting of metal plates. These discs open and close like tweezers. Their pincer style action captures hairs, plucks them out from the root as the epilator head rotates, and discards the pulled strands when the discs open up. Waxing, on the other hand, involves the use of sticky beeswax, which is slathered on the skin in a uniform fashion to capture hair. A paper strip or cloth placed on the applied wax is finally ripped off in rapid fashion to remove hair from the root. The approach you take to epilate or wax ultimately determines how long each hair removal method will last. With an epilator, you can start to remove hair at the push of a button but you still have to pass the device meticulously across the skin to ensure no hairs are missed. 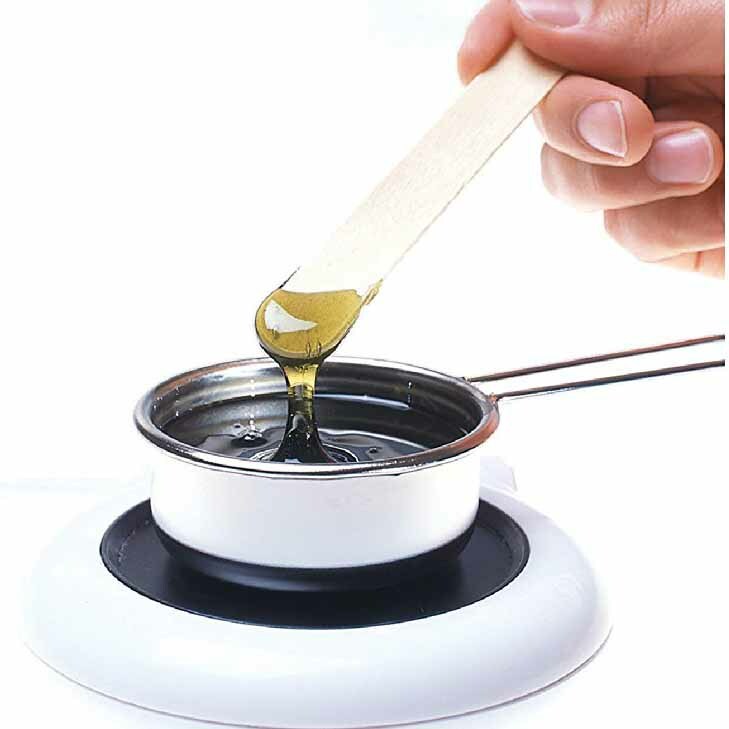 Waxing removes large sections of hair at once, but it may take a bit longer than epilating if you opt to use hot wax. When warmed up, hot wax opens up follicles on the skin and makes it easy to pull out hair. It also adheres well to hairs, allowing all strands to come off at once. However, you have to melt the wax, apply it to the skin, and wait for it to dry before yanking off the layer of cloth or paper strip that’s also placed on the skin. This means more time will be spent when trying to remove hair with hot wax. If you decide to get a professional wax rather than doing it at home, getting rid of unwanted hair might even take longer given the time it takes to schedule an appointment and visit the beauty salon. You could also opt for waxing paper strips, which are designed for at-home use. These strips cut back on the time needed to wax as no special preparation is required. They are also cheap, mess-free, and easy to use. The only problem is that these strips use cold wax, which does not adhere well to hair. So, you may have to go over the same area repeatedly, which can increase chances of ingrown hairs and irritation. When it comes to price, epilators are more cost-effective compared to waxing. An epilator is a one-time purchase. Once you buy it, there are no added expenses until the device outlives its usefulness. This can be be a good few years or more if you take good care of your device. In contrast, you’ll have to go for professional waxing sessions once every few weeks and they don’t come cheap. While it is cheaper to wax at home, you still have to buy supplies regularly and the cost tends to add up over time. Epilating is more convenient than scheduling a waxing appointment or using hot wax at home. With hot wax, you have to clean-up after the mess it creates. Conversely, epilators don’t require a lot of cleanup after use. All you need to gather and discard strands during dry epilation is a simple brush (usually provided in most kits) whereas wet epilator use only requires rinsing under a running shower. For added convenience, opt for cordless epilators, which can be used almost anywhere and are just as easy to carry as waxing strips when travelling. Although you could settle for the convenience of cold waxing, it will cost more than owning an epilator in the long run. Additionally, cold wax increases chances of experiencing ingrown hairs and irritation as it is far less effective than hot waxing. Using an epilator is pretty much the same as shaving with an electric razor. On the other hand, waxing is a bit more complex. From heating wax to the right temperature, to pulling the skin taught, to ripping off paper strips at the proper angle, waxing requires skill. If the wrong technique is used, hairs will break at the surface and grow back much faster. It is difficult to wax short hair but epilators can pull out strands as small as 0.5mm. Hair needs to grow up to at least 5mm (a 1/4-inch) long for waxing to be effective. 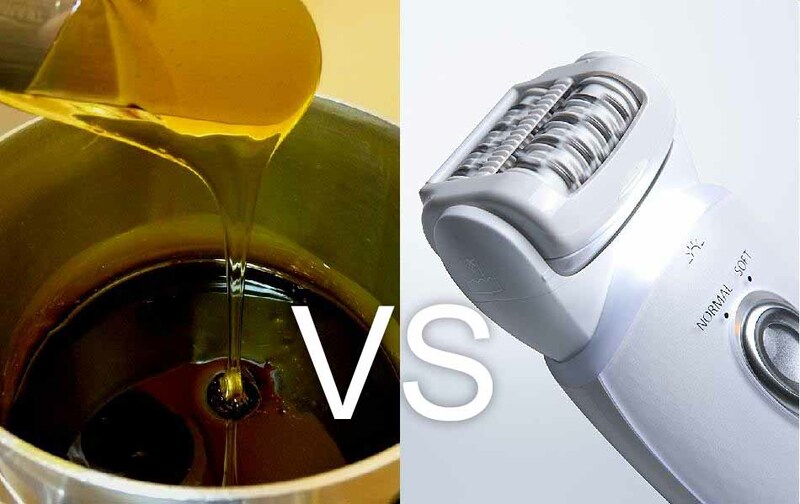 Which is the Better Hair Removal Method? Ultimately, the choice between epilators vs waxing comes down to personal preferences. However, based on our research, epilating offers more benefits than waxing. It is the ideal choice when you want convenience or to avoid on-going costs and unsightly re-growth by being able to remove even short hair. Cold waxing offers speedy hair removal when done at home but it is less effective compared to hot waxing. If the hassle of hot waxing on your own is too much for you, it is more convenient to have it done professionally but this will cost you more in the long term. Epilators are a fast, convenient and mess-free way to remove unwanted hair from your body. But, like many appliances today, there are a huge number to choose from. All of which vary dramatically in price, features, included accessories and functionality. In this guide we hoped we’ve helped demystify some of the jargon and helped you compare and contracts between a good selection of epilators available in the UK which vary between price and functionality. Read our epilator buyers guide for an overview of the features we think need to be considered before you buy.